Those are images I pulled off the internet to nurture my imagination and assist my color selection. 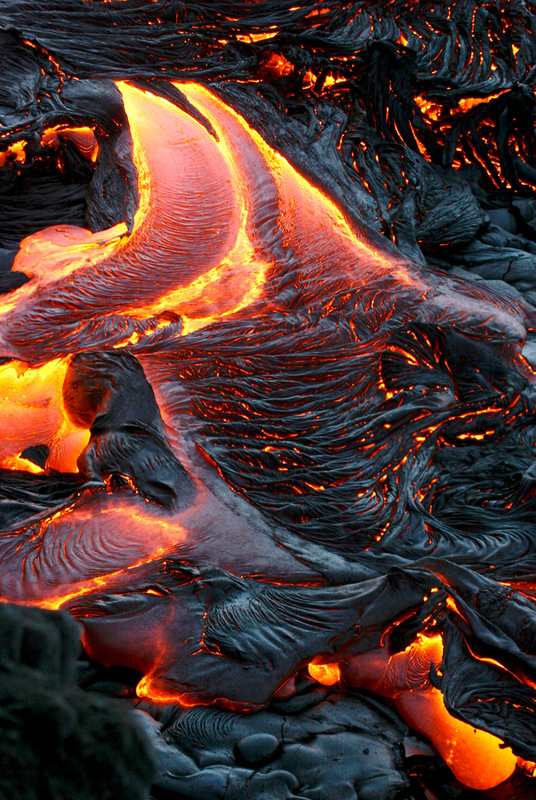 In my textile work, I’m rarely inspired by concepts or themes; in this case, the imagery of lava and fire and incomprehensible heat emerging from the deep core of the earth gave me all I needed. 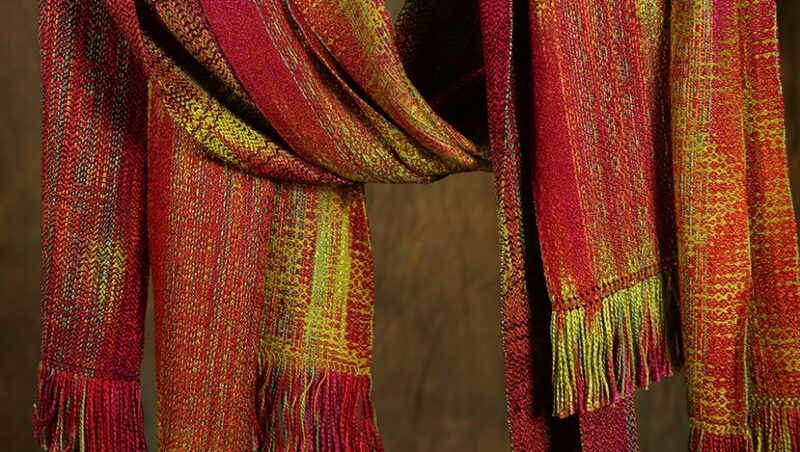 The series of three shawls I designed and wove were intended to evoke both the darkness of the bowels of the earth and of the cooled lava, with all the color and fire of the hot lava blended in. 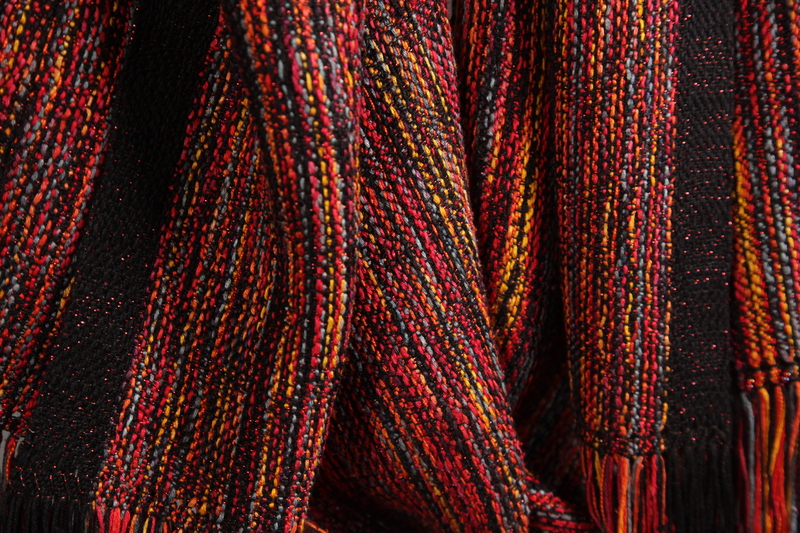 The warp is composed of a hand-dyed silk-rayon in all the colors you can see above, with a black bamboo, a black silk boucle, and an orange pearl cotton all randomly distributed throughout the primary multi-colored yarn. 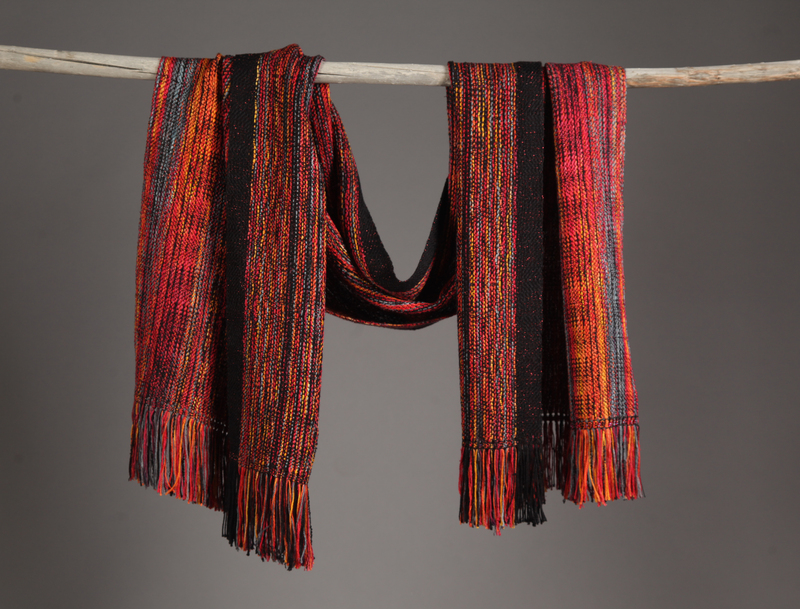 The shawl you see here is the one placed in the exhibit; it’s woven with a fine black wool wrapped with a red metallic so that the whole piece glitters subtly, like the flashes of sparks off the lava in the darkness. 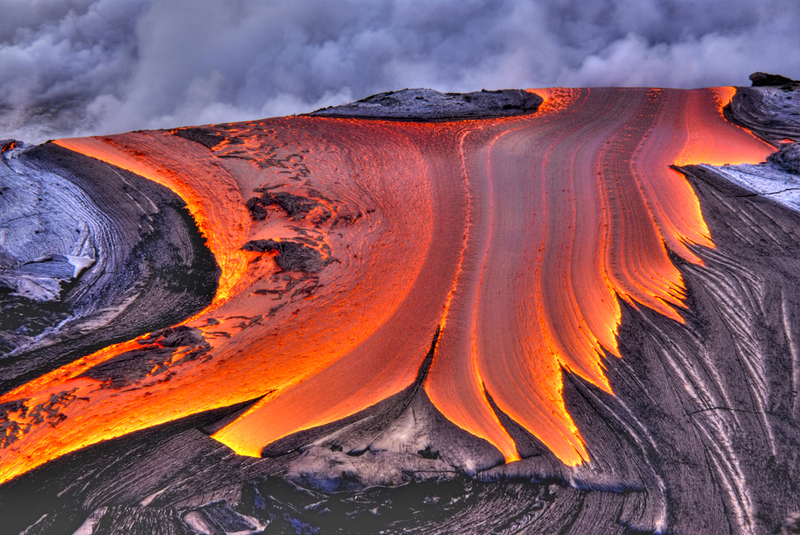 The random nature of the colors and textures, with an overlaid subtle pattern, reminds me of the fluid yet organized flow of the lava and of the forms and sweeps it lays over the face of the earth. 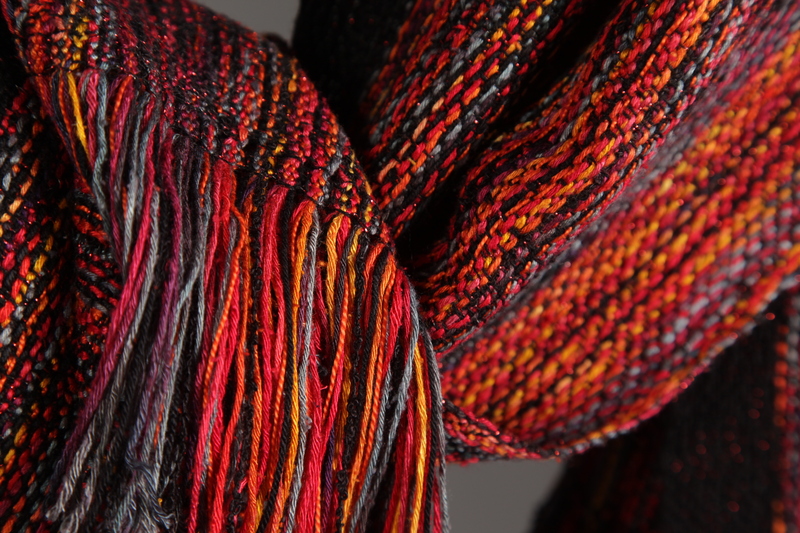 Recognize that hand-dyed yarn, D’Elin?? Wow. 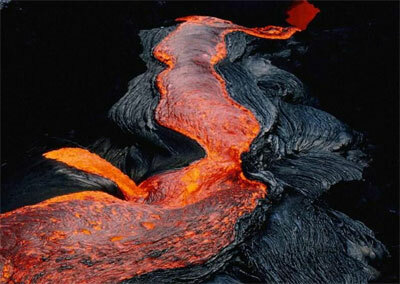 How timely, seeing that the lava flow is actively pushing towards human houses in Hawaii right now. What powerful images!